SSIA’s newsletter, Shoe Service, is published three times annually in January, April and September. Click here to see a sample newsletter. 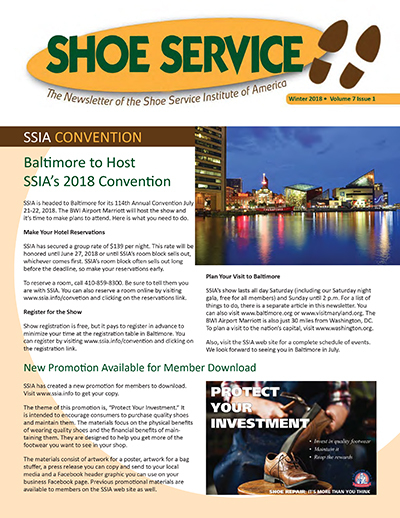 SSIA members, click here for our newsletter archive. You will need your SSIA user id and password. Advertising in the newsletter is available to SSIA supplier members. Click here for current rates and deadlines.